If going to three conventions in a month wasn't enough fun, I've got a couple of packed weeks before taking off for a destination wedding. Coming off of Star Wars Celebration and a slight case of Con-fluenza, I've got one more day to rest up before a weekend full of 80's and 90's goodness starting with a double feature of mother fudging The Last Starfighter and Krull! You know, where a smart kid who lives and works in a trailer park gets the chance to go to space and fight an intergalactic war?! I've never seen Starfighter on the big screen so am very pumped for some innocent, post Star Wars, Spielberg flavored Americana and rising to the outrageous occasion. The American Cinematheque's Egyptian Theatre, where Dammaged Goods Presents proudly flies it's banner of repertory cinema and special events a la Dolph Night, An Evening With Carl Weathers and The Sunbow Celebration; is hosting a badass weekend of 80's science fiction films dubbed Space Invaders: Sci-Fi in the Arcade Age. 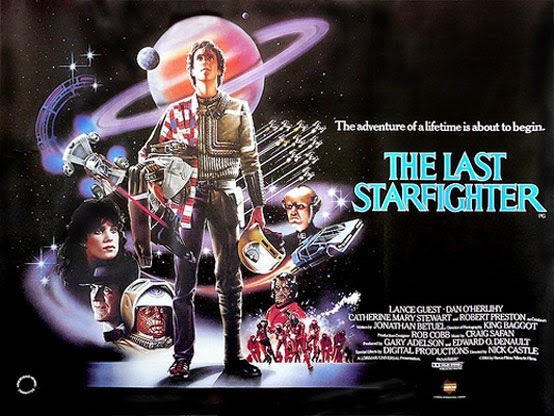 Starfighter and Krull kicks things off Thursday with special guests including Star director Nick Castle, cast members Lance Guest, Catherine Mary Stewart, Chris Hebert and Peter Nelson along with composer Craig Safan, producer Gary Adelson and visual effects coordinator Jeffrey A. Okun! Phew! If that weren't enough, there will be a special presentation of rare behind the scenes material as well. Friday night sees the classic terror then action in space masterpieces Alien and Aliens (aka #HicksLives aka #F@ckAlien3! aka #MichaelBiehnRules aka #HicksHudson86') with special behind the scenes material. On Saturday it's Blade Runner, the Final Cut with more making of materials and Sunday closes off with a Disney double feature of Tron and The Black Hole. Tron will also be a tribute to writer and #MovieBro Jay West who sadly passed recently. Jay was a mainstay on the repertory and genre film circuit as he was a fan, expert and collector of all things Alien and Tron. I found his work through his Beyond the Marquee site of news, reviews, interviews and more. 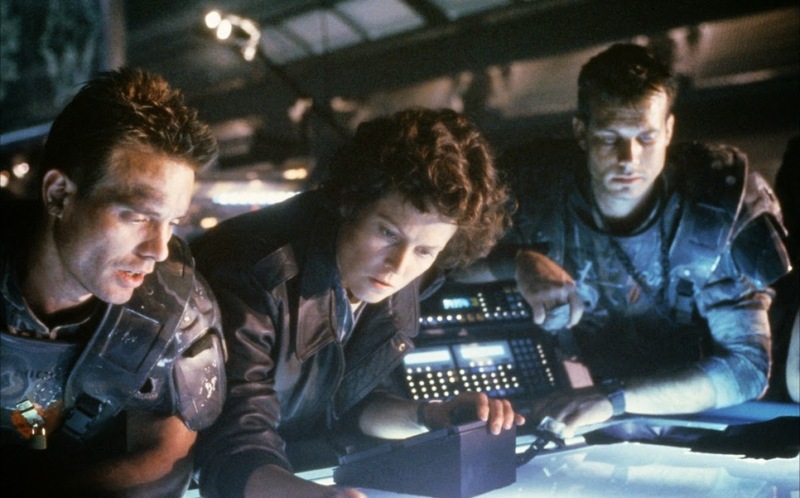 When we saw Alien and Aliens at Hero Complex last year, the stage was adorned with prop xenomorph eggs that came from his personal collection. I introduced myself to the man at Hero Complex's Comic-Con party in San Diego last year and he was very warm and cool to chat with. The Tron evening welcomes VFX supervisor Harrison Ellenshaw and concept designer Richard Taylor along with more behind the magic info. Information and tickets on the nights can be found HERE. Remember what Centuri said, "If that's what you think, then that's all you'll ever be! "The 80's taught us to believe in ourselves. See ya there!